This Dec. 8, 2017, file photo shows a Prius hybrid vehicle at the visitor center of the company's Tsutsumi plant in Toyota City, Aichi, Japan. Toyota is recalling nearly 200,000 recent Prius vehicles that have an increased risk of catching fire, the automaker said Wednesday. The voluntary recall covers some 2016-2018 Priuses, and owners known to the company will be contacted by the end of the month by first-class mail. The repair work will be done at no cost to the vehicles' owners. 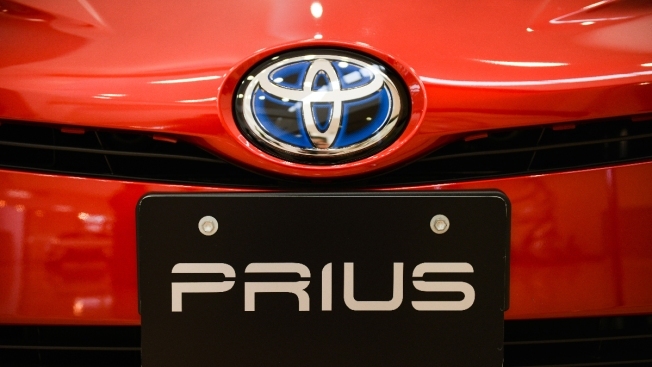 The problem behind the recall stems from a wire harness in the engine that connects to the hybrid power control unit, Toyota said. It can wear over time and eventually cause a short circuit that can generate heat, and that can lead to a fire. The company's recall notice didn't indicate if any fires have been reported from the defect. A Toyota spokeswoman said a vehicle with the wire harness issue was reported to Japan's vehicular oversight ministry but wouldn't comment on vehicles in the United States. Anyone with questions can contact Toyota at 1-800-331-4331. To look up a Toyota's recall status, enter the Vehicle Identification Number (VIN) or license plate at toyota.com/recall or nhtsa.gov/recalls.